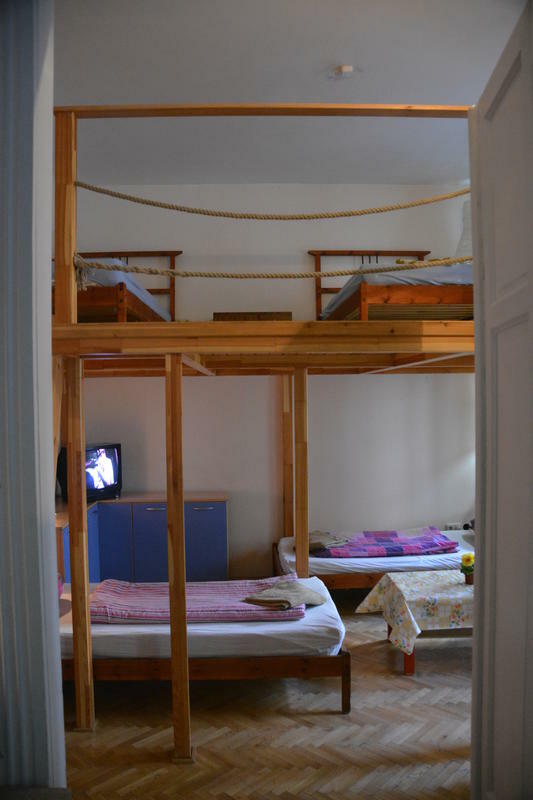 The Maxim Hostel is a calm and familiar hostel located in the heart of Budapest downtown. Located in the Raday street which is famous of the bars, restaurants and pubs what you can find here within walking distance from the hostel. If you decide to stay with us we guarantee the warm atmosphere, tip-top clean facilities, and awesome staff service who are there to help you with their best to make your holiday a wonderful experience. You can choose to stay in private rooms for 2 persons and sleep on a double or twin beds, or if you travel alone and you are short on budget you can sleep in our cosy dormitory. The rooms have their own keys what you will receive after you arrive and you will be free to come and go any time you please. In the dormitory we provide safety lockers with unique keys. If you are interested we also provide free coffe, tea, korn flakes for breakfast with orange juice. included. And becouse it is a student area, the restaurants has low budget menu for 2 euro, from 12:00. For more details please contact us in advance or send your request to our receptionist after you have arrived. We speak English, Serbian, Croatian and a little bit of every of the languages across Europe. If you ask for our advices it will be our pleasure to find the best sightseeing tours and the best places to make the most out of your holiday in our wonderful city. It is very important to us that you spend a great time in Budapest while staying with us and you go home with many good memories. We are hoping you will refer us to your friends and maybe come back to see us again someday. We are waiting you with a big smile ! CASH PAYMENT ONLY NO CREDIT CARDS. Take the bus No 200 and go to the last stop KŐBANYA KISPEST. From Kőbanya take the subway M3 (blue-line) to Corvin negyed or KALVIN TER. If you reach these spots you have to take a little walk. Look at the map! Take the bus No 7 and go to the ASTORIA No 47v or 49v to the KALVIN TER. From the Kalvin Ter walk to us! Take the tram No 4 or 6 towards Fehervari Ut the stop called ULLŐi UT and walk from there! Take the metro M2(red-line) to ASTORIAand then take the tram No 47 or tram 49 to KALVIN TER and walk to the hostel! Take the metro M3(blue-line) to KALVIN TER and walk! If you have any difficulties with finding us please call us!